Understands market conditions and has access to the most current information. Place and pay for effective advertising in the right places, for the best results. Price your home realistically, to give you the highest price. Create demand for your home. Knows how to screen potential buyers, and eliminate the bargain shoppers. Is always on call, and available at all times to show your home. Remains objective when presenting offers and counter-offers. Listens to your needs, respects your opinions and allows you to make decisions. Understands the real estate industry, from both the buyer and seller perspective. Handle the numerous details involved in the sale of your home. Can recommend a real estate lawyer to take care of your interests. 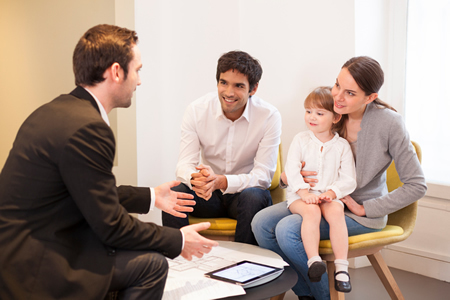 Is experienced with resolving problems to ensure a successful closing. Use his network of real estate resources to place your home before the most qualified buyers. Adhere to a professional code of conduct, established by local and national associations. Recommend improvements that can increase the price you'll receive on your home. Submit offers, negotiate prices and handle paperwork of the transactions. When it comes time to sell your home, an experienced Real Estate Professional can save you time and money. Most important, he or she will ensure that your home is sold fast, and for the best price!